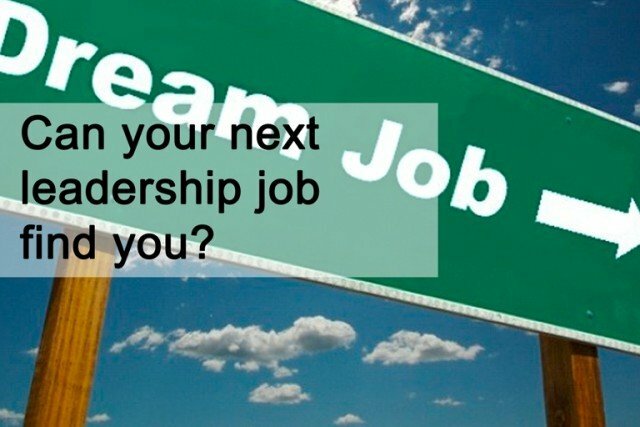 Can your next leadership job find you? How many times have you come to a role by applying for it? Have you had roles where your resume was a formality? I think I can guess how you answered these questions. I know my answers to these questions, and from years in management and senior leadership roles, I owe many introductions to opportunity to relationships. What’s different for me, and for people I coach, is that ten years ago it was about personal relations gained through direct professional circles of interaction. Today, it’s about personal relationships extended, and often originated, in digital circles of influence. With generally, the same level of ‘networking’ effort invested, networking today can easily be 50X in scale and reach and another 50X in accuracy of targeting with each specific network connection. ‘Networking events,’ dinner parties, mixers and speaking engagements produce the same level of quality and reach as they did 10 years ago, but digital, has changed the game. The thing I want to highlight here, is the outcomes digital networking catalyzes. Digital networking (through social channels like LinkedIn, Twitter, Professional Groups, Chats, Video platforms and the like) creates and catalyzes collisions with people; collisions with people that are often unexpected, usually unanticipated, and sometimes fateful. What’s also key to understand is that these collisions can be accelerated by specific digital activities and behaviors. In talks I give, I talk about this as serendipity and creating collisions of unplanned mutual benefit. Back to the opening questions. Rather than believing your can find you next job and competing with all the other qualified leaders for a small set of listed positions, what if you used a different strategy? What if opportunities came to you? What if you were presented with choices and you had the luxury of choosing from a stream of options that happened to align with your values, with your interests, with your strengths, with what you are known for? Well, it can… and it’s happening today. Leaders with an intentional digital brand build credibility, build authority, build trust and build a reputation and network that circles around what they are passionate about and driven by. We like to think of this as your purpose. What are you here to serve and what if people who were looking for someone who is already imbued with that purpose? With 70% of open senior level executive positions being unlisted, and with executive recruiters and talent managers defining specific candidate criteria and actively searching and seeking for people already aligned to those specific criteria, and you were actively engaged in digital building a platform, a brand, a presence, a reputation standing on those criteria… imagine the opportunities for you, as the #1 market leader in a market of 1. Every organization is different, with a unique culture, set of values, guiding principles and experience requirements. Each of us has a unique set of values, guiding life principles and set of hard earned skill and knowledge built through a unique experience history. I’m passionate about helping other leaders engage and lead with impact in a digital economy. I know that many of you are not necessarily in the right position for you; in other words, you may be finding yourself in a place not aligned with your values, fully utilizing your strengths, or, you may be looking to make a pivot in your career. In order to help many of you thrive in a digital landscape, I’ve discovered through coaching that I can apply my expertise and passion and values and help you be found, so that you can then be the best leader. So, what I would like to do is invite you to a webinar, May 18, 8am PT (San Francisco) / 4pm BST (London) to learn more about how to Be Found. I have the great opportunity of guesting with my friend Steve Nicholls, Managing Director of Executive Connexions, to discuss this topic in detail, what it all means, why it’s important, how this all relates to intentional career planning and how to get started. Land your next role faster. Unlock the hidden jobs market with a social & digital approach. Webinar: Wednesday 18th May 2016, 4pm BST. This webinar will transform your understanding of social media and its relevance to your personal career path. You’ll take away valuable insights and a new approach that will bring opportunities for executive jobs to you. This post was originally shared on The Executive Social Academy.